John Shaw is Professor of Marketing at Providence College. His teaching and research interests include International Marketing, Consumer Behavior and Marketing Management. 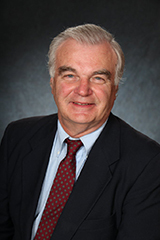 Dr. Shaw has co-authored over 80 papers in journals and at conferences, as well as three books.